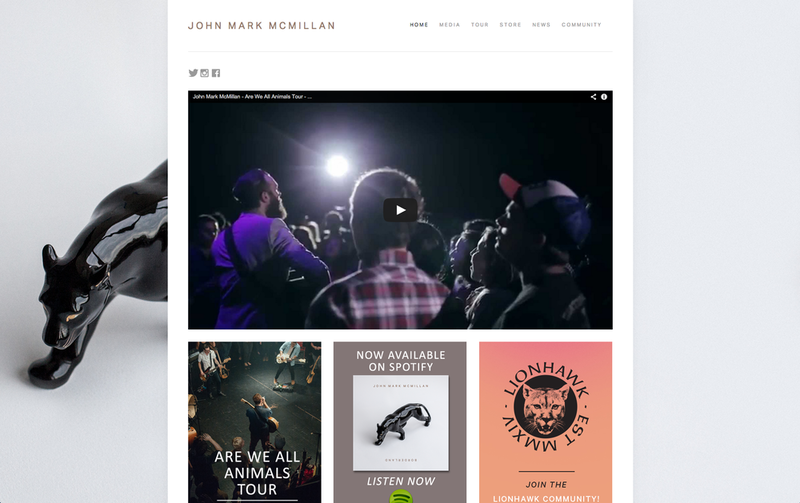 On the heels of the Robert Mondavi shoot, Matt and I drove to Charlotte, North Carolina, to take some photos of John Mark McMillan. Our first night in town, we took some images (e.g. the tour photo in the screenshot) while he was recording a live performance music video, and spent the following day in his beautiful studio, just 30 minutes outside of Charlotte. The photos have been used on posters, his EPK and website to promote the Are We All Animals tour.